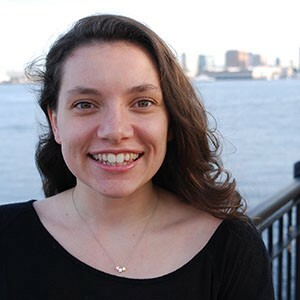 Rebecca Gray shares her perspective on the transition from fellow to full-time analyst at the City of Boston’s Department of Innovation and Technology. Department of Innovation and Technology (DoIT) fellows have the chance to act as problem solvers on behalf of the City of Boston. After completing an Analytics fellowship last summer, I joined the citywide Analytics Team as a full-time data and performance analyst. My fellowship gave me an inside perspective on what it takes to move a large data project forward and develop strong working relationships in the context of local government. Rebecca Gray now works full-time on the City’s Analytics Team. Thinking of applying? In case you’re on the fence, here are my thoughts on what a summer at DoIT can offer. 1. Find yourself at the intersection of data and public service. As a DoIT fellow, you will be stationed at the heart of timely, impactful work (not to mention the heart of Boston). During my fellowship, I worked with the Boston Public Health Commission (BPHC) to expand healthcare access in the City. Together, we built a web-based app to guide health insurance applicants through the enrollment process. At DoIT, you can grow as a data analyst without sacrificing your penchant for civic engagement. 2. Work toward tangible goals — with help. DoIT fellowships are structured with your development in mind. A personal mentor will help you scope and execute a long-term project based on your personal interests. My mentor brought valuable experience in both data science and project management to my fellowship. She was — unwaveringly — in my corner, whether that meant proofreading an email, troubleshooting over coffee, or simply sharing stories of her own experience as a public servant. This summer, skip the busy work. DoIT will equip you with the time and tools to develop robust, polished deliverables. 3. Grow as a professional. Data is only as powerful as our ability to communicate its meaning. At DoIT, we work with data from departments across the City. Frequent, two-way communication is therefore critical to building trust and ensuring project success. One example? My teammates at BPHC loved the first iteration of my app, with one caveat: many Bostonians speak a primary language other than English. Seeking their feedback allowed me to include multilingual app features, and thus create a more accessible product. Spearheading your own project means ample practice in stakeholder communication and data translation — skills that will come in handy long after your fellowship draws to a close. Come join us at the City of Boston this summer! Right now, you can apply to join our team as a Digital or Analytics fellow for summer 2019. Not sure if you qualify? Don’t count yourself out. In the past, DoIT has welcomed awesome fellows from many disciplines, including engineering, geography, public health, and urban planning. If you enjoy solving problems with data and are energized by public service, then you are who we’re looking for. And who knows — you could end up on the team for good!